When God said, "I am making all things new", it impacted every aspect of our lives. God is up to something! He is renewing our past and our present to ensure that our future will harmonize with His divine purpose and plan. Join me as we discover how God's renewal process can change your life. TIH 555 Pastor Charles Jennings >> Welcome to the program once again as we continue to teach and to proclaim the immutable, irrefutable words of our God. And I would like to start by opening this program by reading a couple of verses of praise out of Psalm 103 verses one and two. I want to blend my voices or blend my voice with David and the other saints as we proclaim these words. “Bless the Lord, Oh my soul and all that is within me, bless his holy name. Bless the Lord oh my soul and forget not all his benefits.” In the studio with me today is Pastor Jason Murphy and he has written a book entitled “All Things New.” So therefore our theme today on this program is those words found in Revelation chapter 21 and verse number 5, “And he that sat upon the throne,” that is the Lord himself, “said, Behold, I make all things new.” And the book that he has written, that Pastor Murphy has written is entitled “All Things New” and I hold a copy right here in my hand and I want to welcome you Pastor Murphy to our program today to talk about what the Lord has given you concerning this theme of all things new. Pastor Jason Murphy >> Well, thank you Brother Charles, it's an honor to be here. Always enjoy being with you and I thank you for this opportunity to talk about the book “All Things New.” Pastor Charles Jennings >> Absolutely. Now, in this book you have covered a lot of different subjects concerning different things that the Lord makes new. He makes us new. The Revelation letter says that someday He's going to make all things new, heaven, earth, the totality of, of his creation, He's going to make new somehow. We don't know all the ins and outs, but he's going to do it. Pastor Jason Murphy >> That's right. Pastor Charles Jennings >> So this book that I hold in my hand is an inspirational and instructive book for every believer. Now to begin with on page 12, you mentioned that in your private study one day the Lord just inspired this thought to you as you were reading Revelation 21 and verse number 5. “Behold, I make all things new.” Tell us about that. Pastor Jason Murphy >> Yeah. Well, Charles as you know when you study the Word of God, you can read one particular Scripture dozens of times if not hundreds of times and maybe on that hundredth time all of a sudden the Holy Spirit takes something out of that particular Scripture and just almost like a 3-D image comes out of the page and there's something new to that that you've never seen before. Pastor Charles Jennings >> That's right. Pastor Jason Murphy >> And the Lord just kind of did that for me. I was studying the book of Revelation in my personal devotion time. Had no intention of, of using this for any type of series to be preached in the church or to write a book for that matter, but as I was reading all of a sudden I got to Revelation 21:5 and that Scripture just lifted itself off of the page so to speak. Behold, I make all things new. Pastor Charles Jennings >> Yeah. Pastor Jason Murphy >> And I remember putting the Bible back down on my desk and I just kind of sat back in my chair and I thought, “Well what does that mean?” Pastor Charles Jennings >> Yeah. Pastor Jason Murphy >> I, I mean, I've been in ministry now for quite some time and we've preached these things. Pastor Charles Jennings >> Oh, yeah. Pastor Jason Murphy >> But what did it mean “I make all things new.” And I began praying and seeking God and just asking direction and through that process God just began to bring some insight and some revelation to me on what that means that He's making all things new. Pastor Charles Jennings >> You begin this book by mentioning the contrast between the Old Covenant and the New Covenant. And as we know, the New Covenant is, is brand-new. The Lord instituted that covenant and He instituted it at the what we call the Last Supper and also at Calvary and so forth. What is the big difference between the Old Covenant and the New Covenant? Now, I know that's a big question. Pastor Jason Murphy >> [laughs] Pastor Charles Jennings >> You know, but as you, as you summarize it, generalize it, what are, what are the differences? Pastor Jason Murphy >> Sure. Yeah, a very big question. The, the major differences I could say between the Old Covenant and the New Covenant would be that the Old Covenant was dealing with the law, the whole body of the law not just the Ten Commandments, but the whole body of the law and for the most part that law was written on stone as the Scripture tells us. Well, in the New Covenant when a person accepts Jesus Christ as their Lord and Savior they're initiated into the New Covenant. And in the New Covenant the law is no longer written on stone but it's written in the heart, so that now Jesus Christ not only deals with the action but He deals with the attitude. In other words in the Old Testament, you have a lot of “thou shalt nots, thou shalt not do this, thou shalt not do that” and it was mostly concerned with the action but in the New Testament Jesus Christ not only fulfills that law but then he actually takes it to another level. Pastor Charles Jennings >> Yes. Pastor Jason Murphy >> So that He's no longer only concerned with the action but it's the heart behind it. So therefore in Matthew Jesus may use this statement “You've heard it say not to commit adultery but I say to you if you even look at another person with lust you've already committed the act.” And so the New Covenant actually changes an individual, not only stops sinful behavior but it actually reprograms the individual from the inside and we call it being born again. Pastor Charles Jennings >> That's right. That's right. Before we go any further mention how this book is obtainable. Pastor Jason Murphy >> Yeah. You can obtain a copy of this book by visiting the website at ColliervilleAG.com, that's ColliervilleAG.com. And right on the homepage you'll see a link to this book and it will walk you through the steps on how to obtain a copy. Pastor Charles Jennings >> So you're the pastor of Collierville First Assembly of God in Collierville, Tennessee. Pastor Jason Murphy >> That is correct. That is correct. Pastor Charles Jennings >> And you've been there how long? Pastor Jason Murphy >> Two years. Pastor Charles Jennings >> Two years and doing great. Pastor Jason Murphy >> Doing great. Pastor Charles Jennings >> The Lord is blessing. Pastor Jason Murphy >> Yes. Love the church, love the city. Pastor Charles Jennings >> Well, also in this book there's a lot of different subjects that are covered in this book and one of the things is God is looking for a covenant people, a New Covenant people and that covenant people is found within the body of Christ called the church. What is the purpose of that body? What is the purpose of the church? Pastor Jason Murphy >> The purpose of the church, the, the covenant people of God today, the purpose of the church is to make disciples, teach people the Word of God. You know Jesus never really told us to go out and make mass converts although obviously you have to be a convert before you can be a disciple. Pastor Charles Jennings >> Oh, yeah. Pastor Jason Murphy >> Of the Lord Jesus Christ. But one of the major purposes is to be a disciple and to make disciples and so one of the primary functions of a healthy New Testament church is preaching and teaching the Word of God in such a way that it applies to every area of life so that we have what's called a Biblical worldview. A Biblical worldview means that you look at all areas of life whether it's science, whether it's medicine, whether it's history, mathematics you look at it all through the lens of Scripture because we are told to have a Biblical worldview and to make disciples of the nations. Pastor Charles Jennings >> So this Biblical worldview that we speak of is something that has its, its origin is in the Scriptures. Pastor Jason Murphy >> Yes. Pastor Charles Jennings >> Because being that God is the Creator himself of all things, of all sciences, by creation he has the right to have a part or have his hand in every science, in every aspect of man's existence. We believe God has a right to control. That's the Biblical worldview in essence. Pastor Jason Murphy >> Right. Pastor Charles Jennings >> But you go on to a different, a different level here concerning the priesthood. This is, this is an absolutely beautiful, beautiful part of Scripture because I want you to tell us the difference between the two different priesthoods, one in the old, one in the new. Pastor Jason Murphy >> Sure. In the Old Covenant, in the Old Testament, Old Covenant, the priesthood was Levitical and it was primarily by genealogy and so you served in the priesthood based on your genealogy. If you were of the tribe of Levi, then you were in the priesthood and you were given responsible for taking care of certain functions but in the New Testament when a person is born again, they are brought into the priesthood. Well, how does that happen? It happens because we are a priesthood not of the Levitical order but of the Melchizedek order. And see, this is the priesthood that Jesus Christ served under. Pastor Charles Jennings >> Amen. Hallelujah. Pastor Jason Murphy >> Because if you follow Biblical Scripture then you understand that we refer to Jesus Christ as a priest; however, he was not of the tribe of Levi. He was of the tribe of Judah. Well, then how did Jesus Christ serve as a priest? He served under the Melchizedek priesthood order. And you read about this in the book of Hebrews and the Melchizedek order was by oath meaning God decreed it, God declared it, and so Jesus Christ operated under the Melchizedek priesthood order which has huge implications as you know, Pastor Charles Jennings >> Oh, yeah. Pastor Jason Murphy >> Charles, because the Levitical order they were basically what I term ministers of death. Pastor Charles Jennings >> Oh, yes. Pastor Jason Murphy >> They sacrificed the animals. They had to sprinkle blood upon the altar and so forth and it was all done as a way to appease the righteousness of God to have forgiveness of sin but under that Levitical priesthood order they couldn't associate with the dead. They couldn't touch the dead. They, it was all about killing the animals. It was never really transferred into giving life to people. Pastor Charles Jennings >> That's right. Pastor Jason Murphy >> But then you have Jesus Christ who comes on the scene in the New Testament. And here he is a priest and yet He's touching lepers. He's touching the diseased. He's touching people that are blind and opening their eyes. Well, how could he do that? He could do that because he wasn't serving under the Levitical priesthood. He was serving under the Melchizedek priesthood. Pastor Charles Jennings >> Praise God. Pastor Jason Murphy >> As a king and a priest therefore he could touch sin sick and diseased humanity and bring life to them. And that's the kind of priesthood that you and I have. We are given that type of priestly way to behave in the earth today. We give life through Jesus Christ. Pastor Charles Jennings >> Amen. Well, you mentioned three things under this royal priesthood of Melchizedek. You mention first of all a new mediator. And then you mention a new sacrifice and I think the third thing that you mention is a new priesthood. You touched on this while ago but because it all comes under the category of a new priesthood but a new mediator, what was the difference between the mediator of the Old Testament being Moses and the mediator of the New Covenant being Christ because the book of Hebrews tells us that the priest of the Old Testament, they first had to make sacrifice for themselves. Pastor Jason Murphy >> Right. Pastor Charles Jennings >> But Jesus didn't have to do that. Pastor Jason Murphy >> Right. Pastor Charles Jennings >> If you want to comment on that. Pastor Jason Murphy >> Yeah. The mediator, under the Old Testament, is, is you've already mentioned Moses was the mediator. And he was kind of the, the go-between between the nation of Israel and God and of course God gave him on Mt. Sinai the law and so forth and he was the mediator. And, but there had to be the sacrifices from another group of people known as the Levitical priests and they had sacrifices to cover their own sin and then they had to go through sacrificial system to cover the sins of the people. But in the New Testament you have Jesus Christ, who is our mediator. Today He's the mediator of the New Covenant so that now we don't have to go through another person, another human being so to speak to get to God. We go through the person of Jesus Christ because he is the mediator. God himself is the mediator in the New Covenant in Jesus Christ and He did not have to offer a sacrifice for him because He is sinless. He was sinless. He is sinless. The sacrifice that was made was to cover my sins once and for all. Every time that we approach God or every time that we sin, we do not have to commit a, a, sacrifice of an animal because the perfect sacrifice and the death, burial and resurrection of Jesus Christ has once and for all already been accomplished and so therefore we have constant access to God through that mediator, Jesus Christ. Pastor Charles Jennings >> Amen. So the sacrifice that Jesus made, one of the beautiful things about it, is that it was once and for all. Pastor Jason Murphy >> Right. Pastor Charles Jennings >> Whereas in the Old Testament there was a morning sacrifice believed to be at nine a.m., an evening sacrifice believed to be around three p.m., and that's how long Jesus was on the cross, you know, between nine and three. Pastor Jason Murphy >> Right. Pastor Charles Jennings >> But he gave his life blood, His body, in fact, he gave his soul as a sacrifice for sin once and for all and that is the, to me that is the means by which all things are going to become new, not only individually but now he has gathered he said in Matthew, chapter sixteen, I will build. What is he going to build? I will build my church. Pastor Jason Murphy >> Right. Pastor Charles Jennings >> Now he's got a new body in the earth. Pastor Jason Murphy >> Right. Pastor Charles Jennings >> And you, you comment on that in chapter three of your book “A New Church.” Now you mention three things I think concerning this new church, a new location, a new relationship and also you mention, let's see, a new location, a new location, a new relationship and a new beginning. The new beginning of this nucleus of people turned the world upside down and that's called His body, not a denomination. Pastor Jason Murphy >> Right. Pastor Charles Jennings >> But a body. Now explain somewhat the ministry of this, this body of people called the church, His body. Pastor Jason Murphy >> It's interesting. Let me start here, a new church, because there's the thought in the theological world and of the church world that the church was born at Pentecost. I don't think that that's entirely accurate. When you read the book of Acts, especially dealing with the martyrdom of Stephen, you will discover that he makes a very interesting comment. He says that when he is giving his defense before the people he makes a reference to Christ being with the congregation in the wilderness. What he's talking about is that Angel. That Angel was a reference to the pre-incarnate Jesus Christ who was with the congregation. Notice the terminology congregation in the wilderness. So the congregation in the wilderness meant that in the nation of Israel, within that nation there was a congregation. There was a group of people who were called out of that nation to conduct spiritual business. Well, in the New Testament, in the New Covenant it's the same way. Within the nations of the earth, there is within those nations a group of called out people who have responded to the gospel message. They are the ecclesia. They are the called out ones. They are the church and this church then becomes the spiritual guardian of the entire nation. The church is called out to conduct kingdom business within the earth. In other words we represent the interest of the Lord Jesus Christ in the earth today. Pastor Charles Jennings >> Amen. Very good. The one thing that you bring up in this, in this book that we can talk about a long time and that is in your experience as a pastor of several years, you have dealt with a lot of people I'm sure in the church and a lot of people in the church are still suffering from condemnation. They can't seem to get over that hump of their past. They're still haunted and you mentioned 2 phrases, 2 words, very meaningful and that is the difference between conviction and condemnation. Pastor Jason Murphy >> Right. Condemnation is something that many people in the church world face today. They come to a salvation knowledge of the Lord Jesus Christ and at that point they're supposed to become a new creation. We talk about that. There's a new beginning for that person and however they're still dealing with the effects of their past, may be some grievous sin that they committed, or lifestyle that they were living in the past and it haunts them and there's condemnation. Well, condemnation is not of God. The Scripture tells us in the book of Romans that there is therefore now no condemnation … Pastor Charles Jennings >> Amen. Pastor Jason Murphy >> To those who are in Jesus Christ. Pastor Charles Jennings >> That's right. Pastor Jason Murphy >> So where does condemnation come from? Well, condemnation has to come obviously from the enemy of Christ and condemnation is guilt. That's what it is. It's guilt that just weighs a person down. Well, in Jesus Christ there is no condemnation but there can be conviction and the difference is this. When the Holy Spirit begins to convict you for something then whenever you repent of that and you ask for forgiveness then that sense of guilt leaves you because the purpose of conviction is to bring you closer to Jesus Christ. So when there's sin there, when there's something between you and God then that conviction will come from the Holy Spirit. You repent. You turn from it and the conviction leaves. Condemnation stays there. Condemnation is there to weigh you down and to make you feel guilty and unworthy to approach God and that is not of God and so we have to learn the difference between the two. Pastor Charles Jennings >> Amen. Now I want to mention once again how to obtain this book and you might want to mention it Pastor because you, you know the website. Pastor Jason Murphy >> Sure. Pastor Charles Jennings >> Go ahead and tell us the website. Pastor Jason Murphy >> If you're interested in obtaining a copy of this book, please visit ColliervilleAG.com. 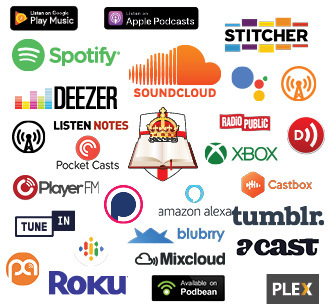 Pastor Charles Jennings >> I would recommend that every, every listener go to that website, obtain a copy of this book “All Things New” because this thought of “All Things New” is so big that we wouldn't be able to cover this thought in 10 programs. Pastor Jason Murphy >> True. Pastor Charles Jennings >> Because it is actually talking about a new creation as far as the individual saint is concerned and it's also talking about the new creation when God re--, renews His whole earthly order and, and, and heavenly order and that's a, that's a big subject that's very much involved in the Scriptures. But going back to what you were mentioning about the difference between conviction and condemnation, you made a phrase, you, you wrote a statement in this book that is absolutely profound. As a Christian and if you're a Christian watching this program today catch this phrase that I'm going to use and Pastor Murphy is going to comment on this phrase. Your, I quote, “Your sinful past does not define you.” Unquote. Talk about that. Pastor Jason Murphy >> [laughs] Well, this is one of the joys of being a pastor. When you, when you're a pastor of a church you get to spend time with your people. You get to know the people that you are shepherding and one of the things that I begin to discover in pastoral ministry is that we all have a past. Everyone has a past and there are a lot of people who come into a salvation knowledge of Jesus Christ, they're serving God but they allow their past to define them and they don't think that they could ever move past a certain point or do something maybe that God has put upon their heart. Pastor Charles Jennings >> That's right. Pastor Jason Murphy >> Or whatever. Pastor Charles Jennings >> Oh,Yeah. Pastor Jason Murphy >> Because of their sinful past. The message that we have is that in Jesus Christ we have become new. So our sinful past no longer defines us. A prime example would be the apostle Paul. Pastor Charles Jennings >> Oh, Yeah. Pastor Jason Murphy >> I mean, here's a guy, who you know was murdering Christians in the New Testament until he had the encounter with the Lord Jesus Christ and it changed him and the one who was murdering Christians now becomes the champion of Christians. And he wrote the majority of the New Testament. Pastor Charles Jennings >> Yeah. Pastor Jason Murphy >> And so our sinful past does not define us. I don't care what you have done in the past, it is not greater than the grace of God. The grace of God is greater than any sin you have ever committed. Pastor Charles Jennings >> Amen. Now, you know being in the church for many years, I have found out a lot of condemnation comes from self, it's self-condemnation. Pastor Jason Murphy >> Right. Pastor Charles Jennings >> And also from other people. They will bring up your past if they knew you in your old life. Pastor Jason Murphy >> Right. Pastor Charles Jennings >> You know, remember you did so and so when you were a teenager. You cannot allow other people to define your past for you. Pastor Jason Murphy >> Right. Pastor Charles Jennings >> Because there's, there's an element of people in the church, I hate to say it, that love to bring up the past. Pastor Jason Murphy >> Right. Pastor Charles Jennings >> And you just have to tell him, well what do you tell them? Just turn the page, or... Pastor Jason Murphy >> [laughs] Pastor Charles Jennings >> Or hush, you know, but don't let people define your past or use your past to define you for what you are right now. Pastor Jason Murphy >> That's good. Pastor Charles Jennings >> The, we're given a new nature. Pastor Jason Murphy >> Yes. Pastor Charles Jennings >> A new nature, does that mean that we are exempt, totally exempt from the possibility of sin? Pastor Jason Murphy >> I don't think so. I, I, I realize that there may, may be some people hold that position. Pastor Charles Jennings >> Oh, Yeah. Pastor Jason Murphy >> But I don't think so. When you follow, when you follow the Scripture Paul what he had to say in Galatians and of course Peter what he had to say, basically paraphrasing Peter says that when a person accepts Christ as their Lord and Savior, they're now partakers of a divine nature but that doesn't mean the old nature goes away either because Paul in Galatians chapter 5 tells us there's this war going on. He uses the terminology flesh but he's talking about the flesh and the spirit, our, our human nature versus our spiritual nature when a person is born again. Pastor Charles Jennings >> That's right. Pastor Jason Murphy >> And so you now have these 2 natures that are warring against each other and there's constant battle going on between our flesh and our spirit and the one that's going to win is the one that gets fed the most. And so, yeah, you have these 2 natures taking place in your life and we've got to, got to deal with that. And we have to crucify the flesh as Paul tells us. Pastor Charles Jennings >> That's right. Pastor Jason Murphy >> And, and learn to follow that new nature in Jesus Christ. Pastor Charles Jennings >> Well, because Paul even told young Timothy concerning the principle of lust, he said flee. Pastor Jason Murphy >> Right. Pastor Charles Jennings >> Well, flee youthful lust. In that statement Paul was actually admitting that, you know, the, the, that youthful lust or the principle of lust is still in existence. Pastor Jason Murphy >> Right. Pastor Charles Jennings >> Even in the life of a saint. Pastor Jason Murphy >> Right. Pastor Charles Jennings >> Mention once again how this, the viewers may obtain a copy of this book. Pastor Jason Murphy >> Sure. If you're interested in obtaining a copy of the book please visit the website at ColliervilleAG.com. And right there on the home page there will be a picture of the front cover of the book and a link. You can click on there and it will walk you through the steps on how to obtain a copy. Just go to ColliervilleAG.com. Pastor Charles Jennings >> I want to say thank you very much Pastor for being here with us today and, and talking about this vital, very vital subject of all things new. May the Lord richly bless you in the distribution of this book and also in your, your local ministry there in Collierville First Assembly. And I want to say the Lord bless everyone and keep on the firing line because He is making all things new in you and in me. God bless you. TIH 556 Pastor Charles>> Pastor Charles Jennings >> Welcome once again to Truth in History as we continue to visit with Pastor Jason Murphy and he has written a book with a fantastic title. It's a Scriptural concept right out of the book of Revelation entitled “All Things New.” And he covers several things in this book that every, every true believer needs to understand and to, to realize that we are a new creation in Jesus Christ in spite of our failures and in spite of our all of our mistakes that we make in life. We are a new creation if you're born again. In fact that's the very essence of the term born again, born from above. It's a, it's a new birth and I want to welcome you once again to the program and to continue to explain what the Lord has put in your heart and your spirit concerning this principle of all things new. And first of all before we forget I want you to let everyone know how this book is obtainable. Pastor Jason Murphy >> Yes. 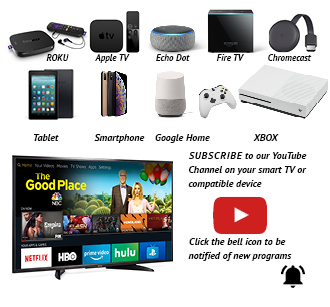 If you're interested in obtaining a copy of “All Things New” you can visit the website ColliervilleAG.com and right there on the homepage you'll see a picture of the front of the book and it will give you all the information on how to obtain your copy. Just go to ColliervilleAG.com. Pastor Charles Jennings >> And tell us where Collierville is located. Pastor Jason Murphy >> Southeast of Memphis, we're in the greater Memphis, Tennessee area. Pastor Charles Jennings >> We left off last time talking about basically the difference between conviction and condemnation, and as a new creation in Christ. Does it mean that we are perfect in this mortal flesh? Pastor Jason Murphy >> No. Pastor Charles Jennings >> Or, it's well explain that to us. Pastor Jason Murphy >> [laughs] Pastor Charles Jennings >> Are we, surely, cause I'm not perfect. Pastor Jason Murphy >> Yeah, I'm not either. [laughs] Yeah. You know when a person accepts Christ they receive a new nature. Peter tells us this. We are now partakers of a divine nature. So that divine nature, the spirit man is born again. It's born after God, born from above but we still wrestle this flesh nature as well. And so there's this warring that takes place between the flesh and the spirit and Paul gives us some information about that in Galatians as well as John. John does in I John 1:9 I think. Pastor Charles Jennings >> Yes, he does. Let me, let me read that verse. I John 1:9, “If we confess our sins, he is faithful and just to forgive us our sins and to cleanse us from all unrighteousness.” Don't you think that that is a continual cleansing? Pastor Jason Murphy >> Well, I hold that interpretation primarily because John was writing to the church in I John. He wasn't writing to sinners as we say or out to the world. He was writing to the church and he said that Christ is faithful and just to forgive us and to cleanse us if we confess our sins. And so as we live in a state of, shall I say confession, meaning that whenever we sin, we do something wrong, we confess that sin to Christ. We repent from that sin which means to turn from it. And when we do so then Christ is faithful and just to cleanse us from it. And it says it's as though we never committed that sin but we have to live in that communion in Jesus Christ. Pastor Charles Jennings >> That's right. In this chapter entitled “The New Creation” you give us 3 points, a new nature, a new mind, and a new purpose. Pastor Jason Murphy >> If, of course, we've, we've talked about the new nature and of course there's more information in the book about that but again a new nature. We, when we are born again we a partakers of a divine nature. So we had that. It's in us now and as we read the Word of God, as we spend time in prayer and in worship then that nature grows which leads to the second point that I really want to spend a little bit of time on today and that is we receive a new mind. Now Paul tells us that we should be transformed by the renewing of our mind. A person who is a Christian, a born-again Christian, as they study the Word of God will discover that their mind is being renewed by the Word of God. I think one of the problems that we have to day facing the church at least in the United States is that we have many Christians that I think are truly saved. I think that they have repented of their sins, they've confessed Christ as their Savior and as their Lord but they haven't progressed to the point where they've had their mind renewed so they're Christians but yet they still think like the world. And so now whenever you go to church and you're surrounded by other Christians in this church setting, they love God. They're worshiping God but yet they think like the world. And I think this can account for why maybe our political system has gone the way that it has, our educational system has gone the way that it has, is because we do have Christians out there involved in those arenas but yet they think like the world and they act like the world because they have not let the Holy Spirit using the Word of God renew their minds. Pastor Charles Jennings >> You mentioned a fourth thing that I overlooked and that is a new name. Now here's a very interesting concept in Revelation chapter 2 verse 17, “He who has an ear, let him hear what the Spirit says to the churches, and to him that overcomes I will give of the hidden manna to eat, and I will give him a white stone and a stone, and the stone, and within the stone a new name written, which no man knows except him who receives it.” What is the concept of that white stone in the ancient culture? Pastor Jason Murphy >> Yeah. The concept of the white stone was interesting. Whenever someone had committed a crime and they went to court and let's say they were standing before the court and they were found not guilty, then they were given a white stone, signifying that they were guiltless, that they were no longer under charges. They were no longer, you know, under that type of thinking from the world that they, they done something wrong. No, they had a white stone to prove that they were innocent. Or, some historians tell us that Roman gladiators that after they had fought and they had won and they had won the admiration of their society that once they received that kind of status that they were given a white stone to say that they no longer had to compete in the games and, and plus they were free to live among others. They no longer had to be confined as a Roman gladiator was. And so this concept of a white stone means that they are given a new name, a new identity. They are now a new person. Pastor Charles Jennings >> There's a concept that Pastor Murphy has put in this book that is, that is just often misunderstood but he, he briefly covers it and clarifies it ever so well, something that every believer needs to understand and that is the new temple. We often, especially here in the last 20 or 30 years within Christian circles in the US talking about a new temple but the apostle Paul clarifies that for us concerning what is the new temple. Pastor Jason Murphy >> Yeah. You know Pastor Charles Jennings >> Why don't you spend some time on that. What is the new temple? Pastor Jason Murphy >> [laughs] The new temple, just to make it in a, in a very concise brief statement, the new temple is the body of the believer. There, I know many people are looking you know for a,a new temple to be built in the Middle East and so forth and if they were to build one I'm sure that it would be magnificent. I'm sure it would be beautiful but I would also argue that according to Scripture it's not necessary because the apostle Paul made it very clear that the Temple today is the believer. We are the temple. He said know you not that you are the temple of the Holy Spirit. The Holy Spirit dwells, God dwells in us. Pastor Charles Jennings >> That's right. Pastor Jason Murphy >> And this is the main reason why in the change from the Old Covenant to the New Covenant that eventually not, not only in A.D. 70 when the Temple in Jerusalem was destroyed, but if you go back and you trace Biblical history, every tabernacle or every temple had been destroyed and the reason is because God didn't want us to worship a temple because God doesn't live in the those physical dwellings. God now lives in the believer that is born-again by His Spirit. Pastor Charles Jennings >> Amen. In John, the book of John, Jesus said abide in me, tabernacle in me. Pastor Jason Murphy >> Right. Pastor Charles Jennings >> Actually, we are the Lord's Temple. Pastor Jason Murphy >> Right. Pastor Charles Jennings >> And the Lord is our temple. Pastor Jason Murphy >> Right. Pastor Charles Jennings >> We abide in one another. And when he sent his Spirit on the Day of Pentecost, Acts chapter two, He placed his Spirit with in us not within just the Upper Room, but that was a corporate setting but really he put his Spirit in each individual and He lives in us. We are the temple of God. Pastor Jason Murphy >> Right. Pastor Charles Jennings >> And this temple that He is building in the earth, in you and me as individuals, as you as an individ..., individual believer and also a corporate body He places his Spirit in that corporate body called the church and you mentioned something in here that Christ was counter-culture in His day. Shouldn't the church, His body be the same today counter-culture to this sinful culture that we're living in? Pastor Jason Murphy >> Sure. You know, it's, it's kind of an interesting concept to say that Christ was counter-culture in His day, but considering the events surrounding his life, He's dealing coming into the Judah nation in Jerusalem that was basically a Roman province, you had the Romans who were in charge. But within that Judah nation and within Jerusalem where Christ lived, you had all of a sudden these Pharisees and the Sadducees that were in charge of shall we say the church world or the religious world of His day and they had all these rules and regulations and dogmas and Jesus Christ could care less about living underneath those religious regulations that were placed upon Him by the Pharisees and the Sadducees, and so forth. Jesus Christ had a mission. He came to fulfill that mission and He did things not according to the culture of His day because he knew who he was. And I think the church needs to be the same way. We need to recognize that we are living in a world that people are putting rules and regulations upon the church. You can only do this. You can only say this, you can only be like this, and we cannot allow ourselves to be ruled by regulations that are placed upon us by other people. We have to be set free to live as God intended his people to live in the earth today. Pastor Charles Jennings >> Amen. A new call is a phrase that Pastor Murphy uses in this book. I guess it would apply both to the individual and to the corporate body of the church. A call to evangelize, a call to disciple and a call to worship. Pastor Jason Murphy >> Yes. Pastor Charles Jennings >> These three things and what is the difference between evangelize and discipleship. Pastor Jason Murphy >> Sure. Evangelization would, would be basically issuing the call of salvation, to preach the gospel message. Jesus Christ came born of a virgin, lived a sinless life, died on the cross of Calvary, was buried in the tomb, 3 days later rose again, He's alive forever more. And all of those who place their faith in that person and message and work of Jesus Christ is born again. Repent of their sins, have Christ as their Lord and Savior of their life. That's what it means to evangelize. It's the issue of the call of salvation. The, the Jesus Christ came, paid the way for our sins but to make a disciple is different. Once a person accepts that call of evangelization, let's say they've accepted the message. They repent of their sins. They accept Christ. Well now we begin the process of discipleship and that is teaching them the Word of God and helping them connect the dots of how all of this applies in everyday life so that they become disciplined to follow the teachings of the Lord Jesus Christ. Pastor Charles Jennings >> There is a what you might call a controversy, may be somewhat of a silent controversy, within Christianity today concerning the concept of New Jerusalem, New Jerusalem, that is mentioned in Revelation 21, 22 and you list 2 theories here, the renovation theory and the new creation theory and I would like for you to define those because it's very important that we understand the difference between the renovation theory and the new creation theory. Pastor Jason Murphy >> Sure. In Revelation 21 we're told that there's going to be a New Jerusalem which is different and distinct than Jerusalem. It's, it's, it's basically heaven on earth if you will. It's, it's what God is going and is in the process of renewing which is again another concept in the book “All Things New” of how God is redeeming and restoring all things and under that there's going to be, this planet is going to be new and so there's basically two theories within the church world and, and theology today and that's the renovation theory and that is that God is somehow going to renovate the earth. He's going to cleanse the earth. He's going to purify the earth. And then there's a new creation that God is somehow going to annihilate this earth and then re-create it with us living in what's called heaven or the eternal perfect state. Pastor Charles Jennings >> Also, we are not, when a person is, is born-again, say, say a person comes in to your congregation and they're saved, there is a tendency, I think within each person for the need for identity. They want to identify with that church regardless of what that church is. But there's a greater identification that they may not realize and you, you bring this out in, in the book. People don't, they, they may join a church and commit themselves for attendance and support and so forth to that local church but when a person is born again they're actually placed within, spiritually placed within not just a church, a local church at Fifth and Main, but in a kingdom. Pastor Jason Murphy >> That's right. Pastor Charles Jennings >> Within an actual body of Jesus Christ, and there is a difference and, and I want you to comment on this because as a pastor, a pastor has to deal basically on two levels with a lot of people. You are part of a kingdom but you're also part of a local church. Pastor Jason Murphy >> Right. Pastor Charles Jennings >> You know. Pastor Jason Murphy >> Yeah. It's, it's you know it's unique how that works but when a person accepts Christ as their Lord and Savior, then they are placed first and primarily into the body of Christ so they are, they are saved and they become a part of the kingdom is what we call it, the kingdom of God on the earth, His church which is worldwide. It's made up of people who are born again and are now part of the New Covenant and as part of that we are in the kingdom of God. And as the kingdom of God there's certain responsibilities. We are to be ambassadors as Paul says. We are to represent the interest of our King Jesus Christ here in the earth. But not only that, we are also a part of a local church and as part of a local church then there are aspects involved in that. So then what, what becomes the purpose of that local church? Well the purpose of that local church number one is to first worship God and to serve God, however we can worship God, however we can serve God is to bring glory to him as to what we are to do and then we are to serve one another within that local church. We are to take care of the household of faith first the Scripture tells us. So we minister to one another. We make sure that our needs are met. We take time to build relationships and to share life with one another. And this is what the apostles told us to do early on in the book of Acts to, to build relationships with one another, to share bread with one another, to stay in the apostles' doctrine, to spend time in prayer and in fellowship with one another. So that's what we do in a local church and then we look out into the world and we begin to minister to people or to evangelize or to make disciples of the nations. It becomes global at that point. And so that's how we are to operate within a church and within a kingdom. Pastor Charles Jennings >> Good thought because you know actually I think I can speak for you when I, when I say this that you want to encourage people to join not necessarily sign your name to a membership card but to become committed … Pastor Jason Murphy >> Right. Pastor Charles Jennings >> To a body of people. Forsake not the assembling of yourselves together … Pastor Jason Murphy >> Right. Pastor Charles Jennings >> As you see the day approaching because you might say well I'm, I'm saved, I can, I can, just you know, stay at home and, and a lot of people do that and but you're, you're missing something with in your Christian experience. It's like belonging to a family. Pastor Jason Murphy >> Right. Pastor Charles Jennings >> And I know that there's, excuse the phrase, church gypsies, Pastor Jason Murphy >> [laughs] Pastor Charles Jennings >> You know that just jump around from church to church, never satisfied, never commit themselves as far as tithes, offerings, attendance, helping around the church whether it be something physical, but this is very important, wouldn't you, wouldn't you say, very important because you find strength, not only from the Lord but from one another. Pastor Jason Murphy >> Yes. Absolutely. This is one of the reasons why He, God wants us to be in the church and Paul talks about this in Ephesians how we are, we are pillars in the Temple of God. We're being built into the church. Peter says that we are living stones that God is using to build His temple, to build His church in the earth today. We talked about that and one of the primary ways that that happens is by individual believers joining together with under, other individual believers and forming, worshiping together in a local church because we can learn and we can share from one another. I've been through things that maybe you're going through that I can help you with and … Pastor Charles Jennings >> That's right. Pastor Jason Murphy >> Then there's coming a time that I'm going to go through things that maybe you've already been through that you have some wisdom and some insight that you can pour into my life and so we grow and we share life with each other and not only that the Scripture tells us iron sharpens iron and so as we rub each other sometimes it can be in a bad way. Pastor Charles Jennings >> Oh, yeah. Pastor Jason Murphy >> We rub each other wrong but that's part of the process that God uses because God is more interested in our character than he is our comfort and so sometimes God will bring us together so that we kind of rub each other, we irritate each other. We make each other uncomfortable but it's for the purpose of growing our character so that we can produce more Christ likeness in our life and present that to the world. And becoming part of a local church, it's a great way that God accomplishes that purpose. Pastor Charles Jennings >> Amen. I mean the church, the institution of the church with in the world has actually altered the face of civilization. Pastor Jason Murphy >> Yes. Pastor Charles Jennings >> Just think, Pastor, if there was no institution of the church. Oh, you can be saved and you just die and you know automatically go to be with the Lord. But what about if there was no institution of the church in the world? We would be in an absolute cultural jungle. Pastor Jason Murphy >> Yeah. Absolutely. Pastor Charles Jennings >> You know. Pastor Jason Murphy >> Yeah. Well, the great reformers called it, you had the church visible and the church invisible. Pastor Charles Jennings >> Yeah. Pastor Jason Murphy >> And the church visible was the institution of a church that you could see but the church invisible were those who were really a part of the church. They're the ones who were really saved. They're part of the New Covenant. But it's that church visible as you bring out, Charles, that really has accomplished things in the earth because they can pull their resources together and they've sent out missionaries around the world. They've built hospitals and schools and orphanages and the list goes on an on and on. God uses the local church to advance the kingdom of God on the earth today. Pastor Charles Jennings >> Amen. Give us the website once again concerning how, how this book can be made available to everyone. Pastor Jason Murphy >> Yeah. Sure. 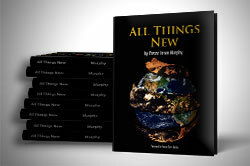 If you're interested in obtaining a copy of this book “All Things New,” please go to the website ColliervilleAG.com and right there on the home page it will give you all the information you need, ColliervilleAG.com. Pastor Charles Jennings >> In Revelation 21:5, kind of coming back to our beginning point the Lord said, “Behold, I make all things new.” But He didn't finish there. He didn't stop there. The next verse he actually says it is done. Explain that. Pastor Jason Murphy >> [laughs] I'll do my best. It is done. One of the things that I've come to appreciate about the Lord is that when the Lord speaks then from his perspective it is done although from our perspective it is in the process of being done. So when God said Behold I make all things new and He goes on to say it is done what He, what He intends to communicate is as I have spoken I will do. It is done. And it all comes down to the person of Jesus Christ in his death, burial, and resurrection. He and his work is the process and the means by which all things are being made new. Pastor Charles Jennings >> That's right. Pastor Jason Murphy >> So from his perspective it's already done. From our perspective we are seeing it being carried out. Pastor Charles Jennings >> Isn't it interesting that in that same verse when he says it is done he says I am Alpha and Omega, the beginning and the end and to the thirsty I will give water without cost from the spring of the water of life. He, he, he actually defines his nature as being Alpha and Omega, the beginning and the end and this more or less encompasses everything within his purpose and with his, his person and his plan. Pastor Jason Murphy >> Sure. Pastor Charles Jennings >> You know. I am the beginning, I am the end. And give us some just closing remarks and mention the website once again how this, how this book can be obtained by everyone. Pastor Jason Murphy >> Sure. Well, thank you for having me on today Charles. I really appreciate that. Pastor Charles Jennings >> Absolutely. Pastor Jason Murphy >> Just some closing remarks all things new. It's, it's really a, a subject that is fascinating. It is about the process that God is using to make all things new. We are given a new nature, a new mind, a new name, a new beginning, a new purpose. There's going to be a New Jerusalem. There's a new heaven. There's a new earth. It's an exciting study. And if you're interested in the book we just encourage you to go to the website ColliervilleAG.com and right there on the homepage at ColliervilleAG.com it will give you all the information you need. Pastor Charles Jennings >> God bless you Pastor and I'm glad that you came here. We appreciate the, the, the book itself and just talking about this wonderful principle and I want to leave this one thought with you taken from the book. Don't let your sinful past define you as a saint of God. Don't let your past haunt you. Be free. Be a new creation in Jesus Christ. God bless you.